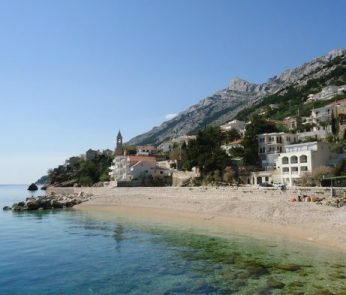 Stanici is a small fishing village located about 5 km south of Omis; the original city is located about 300 m from the sea. The new part of Stanici – that on the sea side of the coastal road was built after the coastal road was completed in the 60s. 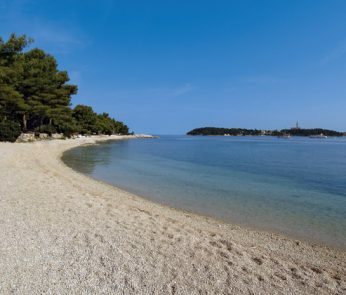 The main beach of Stanici is a long pebble beach (on the picture) with crystal clear sea. The beach is suitable for children. Along the beach there are many pine trees that provide shade during the day. More or less all the houses that are on the water side (new Stanici) of the coastal road to Stanici are houses with apartments. 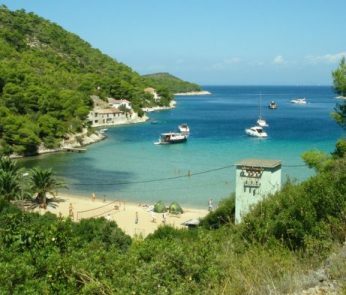 Due to the rather steep descent of the hill, most of the apartments have a balcony with a splendid sea view. There are some restaurants in Stanici that serve traditional Dalmatian dishes and pizzas. If you need to buy daily goods, the easiest thing is to go to one of the biggest supermarkets in Omis. If you only need a couple of items, there is a Studenac supermarket from the main road in the village near Ruskamen. In Omis you also have activities and events every day for adults and children during the summer. If you are coming from the north direction, just follow the general travel instructions for Omis and continue from Omis towards Makarska. 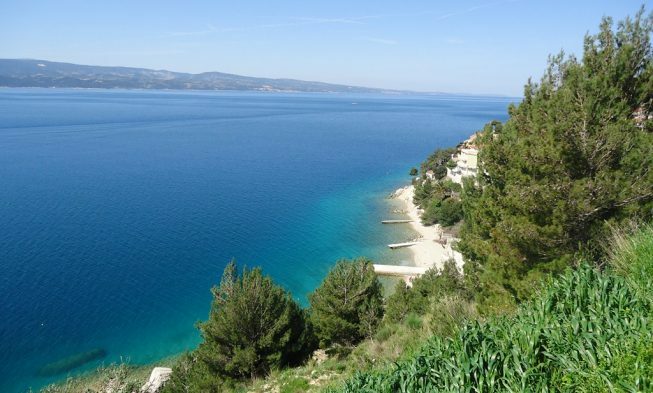 From the south direction (Makarska) just follow the coastal road towards Omis. The bus stop is on the coastal road to Stanici.